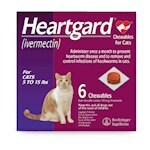 Is The Scottish Fold Cat Good For You? Scottish Fold cats are easily adaptable to new places and situations. The Scottish Fold cat will cuddle up with anyone but tends to bond most strongly to one person. Scottish Fold cats are at risk of congenital diseases that cause distortion and enlargement of the bones. 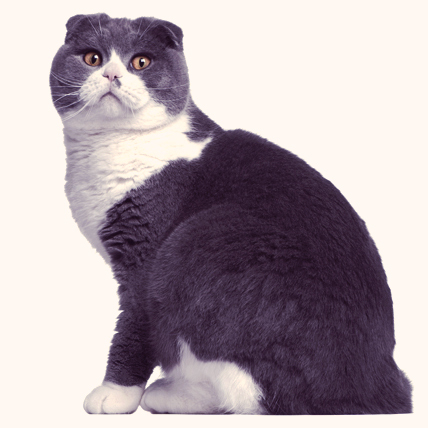 First discovered in 1961, Susie, the first Scottish Fold, was singled out for her unusual, folded-over ears. Bred with Persians, American Shorthairs, Exotic Shorthairs, and even a Burmese or two, the idea behind breeding this cat was to create a gorgeous, rotund lap cat with those strange ears, and it would appear that efforts succeeded. Scottish Folds are little, plump kitties with round, flat faces. They are average sized cats with a frame slightly on the wider side, but not a beefy cat by any measure. Their most unique feature (and namesake) is their unusual, folded over ears. Strangely enough, they are born with their ears sticking up, but they eventually curl as they age, until they are all but buried on their head. Only about 50% of Scottish Folds end up having the folded over ears, and the rest are known as straight eared Folds. An affectionate, even-tempered breed, the Scottish Fold might be lap-oriented, but they are not one to shy away from a game of fetch. Also, this is a breed known to follow their people around, not wanting to be left out of the action. This is not to say that they are attention hogs. These cats are just as happy basking in a ray of light on the sofa. One funny thing this breed is known to do is stand up on their hinders like a prairie dog when they think their is something going on. They might also sit on their rump like a person. Doesn’t get much cuter than that. The Scottish Fold can come in nearly every pattern or color imaginable.